We’ve all been there before. Checking on receipts and bills, looking at our payslip and realizing the kind of miracle we need just to get through the rest of the month. We don’t actually need a balance sheet or any genius to figure out the kind of mess we need to crawl out of. Balancing between work and play takes a toll on our tired bodies and we need a reference simply to guide us through the day, week, or month. Even actors and actresses have call sheets to remind them of where and when they should be at particular times. This is where monthly sheets come in. What Is a Monthly Sheet? 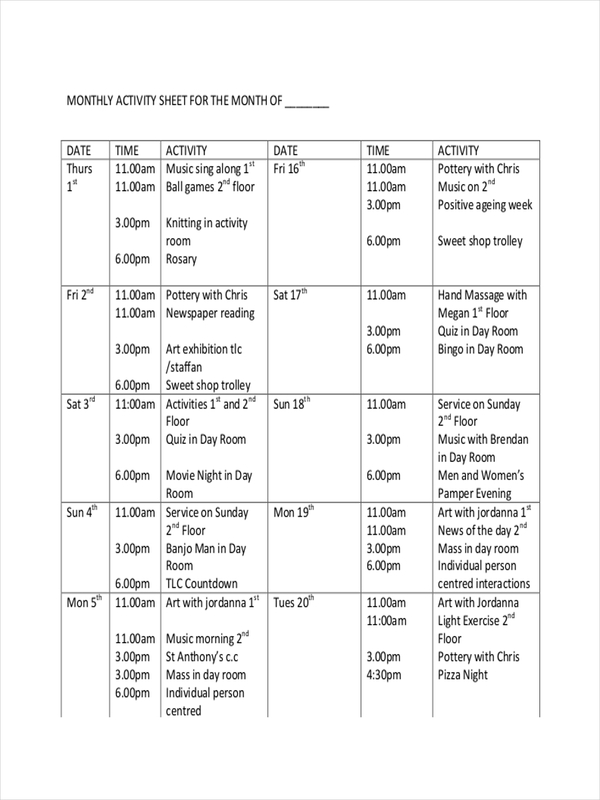 A monthly sheet is a document made to keep track of activities done in a month. 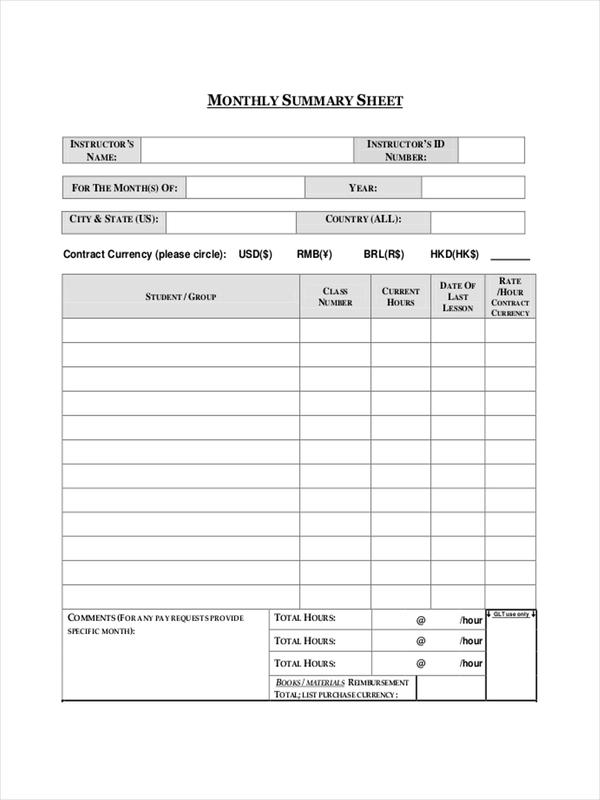 In business, monthly sheets comprise of attendance sheets to monthly spending sheets. All of which has the smart goal to remind or keeping track of activities such as expenses or absences. 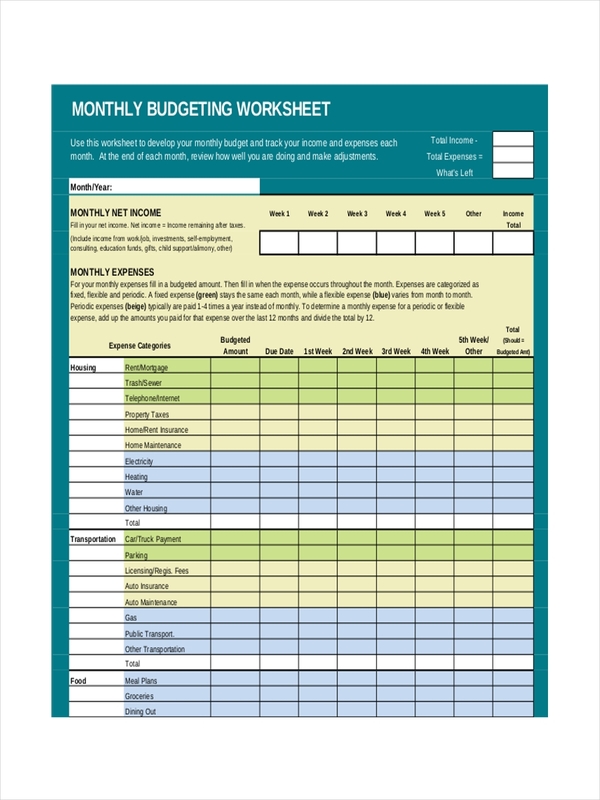 In making a monthly budget sheet, it is important to consider how much you have (savings) and how much you are currently earning. Once you have that, you can start on a basis for your personal budget. 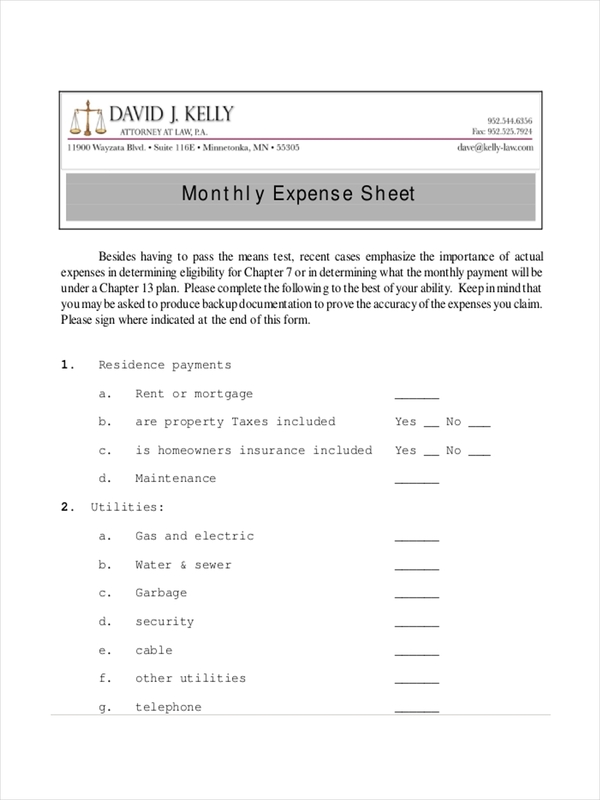 Determine your monthly recurring bills or payments. 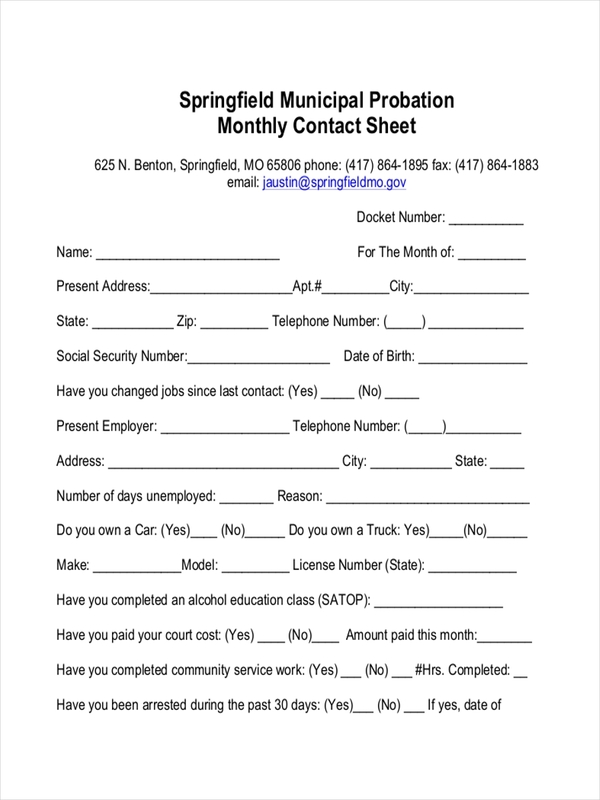 This should form your minimum monthly payment needs. The next obvious process would be determining your net balance. By subtracting your monthly payment needs to your earnings, you get your current worth. This equates to either add on savings or that new phone you’ve been itching to hold. 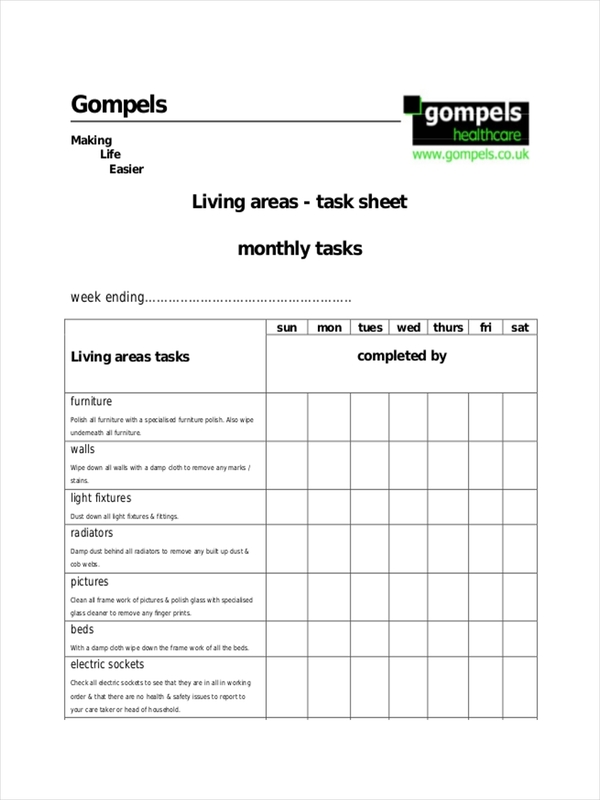 Free sheet examples and information sheet examples shown in the page are provided in order to get a better grip on how to make a monthly sheet. 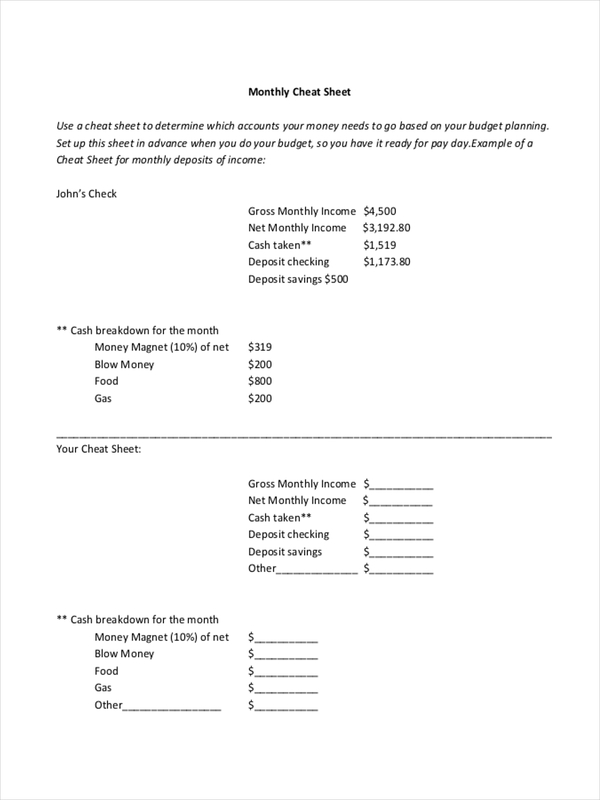 Monthly sheets form the basis for some ledgers or even for pay in some companies (salary being from monthly attendance sheets or monthly expense sheets for financial statements). Monthly balance sheets keep decision makers updated on how the business is doing. 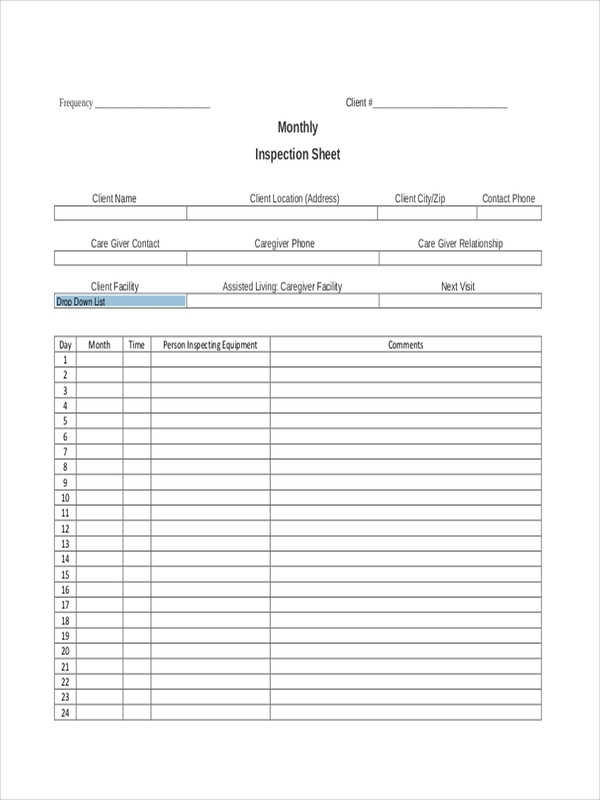 Sheet examples in Word and overtime sheet examples shown in the page provide additional information on how monthly sheets are made and structured. Feel free to download the samples by clicking on the download link button below them. Calculate assets – includes products, money, and investments that a business owns. Define liabilities – these are the long-term and short-term payables, including employee salary and benefits. Evaluate equity – represents the most basic equation: deducting your liabilities from your assets. The result of which is an owner or stock holder’s equity, which may be in the form of capital stock, dividends, owner’s draw, or retained earnings. 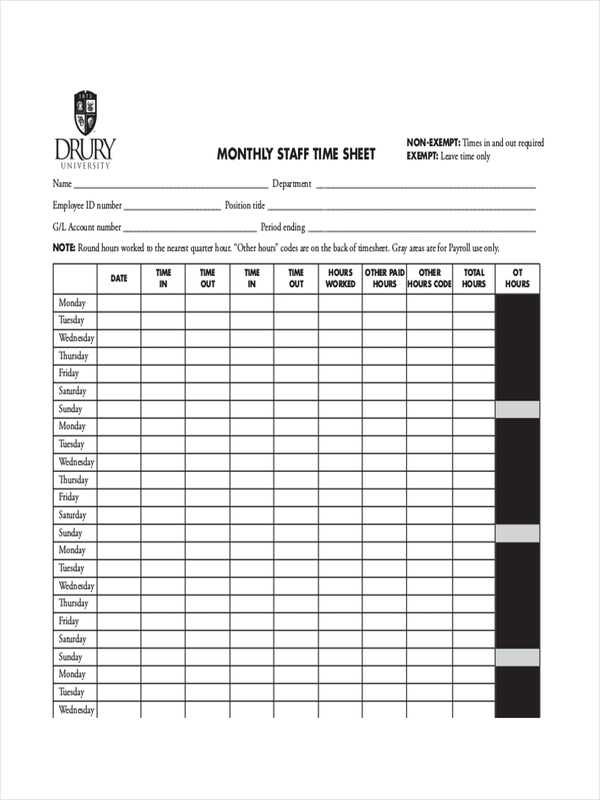 Free sheet examples and attendance sheet examples applicable to your daily business can be found and downloaded from the page. Just click on the download button to begin accessing the file for free.